Looking to expand your online business? We allow you to add high demand products from our extensive catalog to sell at your store, ship the orders directly to customers all over the world, and help increase your profits an excellent solution for people with existing stores anywhere online and those of you looking to break into the eCommerce market. When placing your order, use the Coupon Code we had given you when you checkout your order. 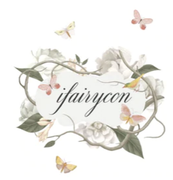 Place these orders on your customers' behalf on store.ifairycon.com , by entering in their delivery address. We'll ship the orders directly to your customer the within 1-3 business days once payment is made. Leave the hassles of shipping and stocking to us. We will provide you with a Tracking Number so that your customers can track and trace their parcel. Your order does not include lens case, if you need lens case for your customer you can add it in together your when placing order. No logo on the package, only our shipping address. Interested in joining our Dropshipping Pragram? Contact Us Today ! !